At the Virginia Avenue Community Garden, the buzz of freeway traffic hangs overhead, but the air is thick with the rich scent of basil and tangy aroma of tomatoes. It’s that perfect time just before dusk, when the sun turns the world golden, and Diana Elliott savors the moment. She ducks under the shade of a plum tree, so heavy with produce the branches sag, and picks one of the purple fruits. “This land has been so good to us,” she says, savoring the juice from the plum and tossing the pit under the tree. But this land may be paved over for new military quarters. In September, Elliott and the other member of the Virginia Avenue Community Garden heard the first rumblings that the U.S. Marines needed to expand their residential barracks and, among the proposed sites for construction, was the land currently occupied by the community garden. Now those rumbling have turned into a real threat: The garden is one of the last-standing locations on a shrinking list of development options. The gardeners don’t dispute the Marines’ need for new barracks and they agree the military has been a great neighbor. But, Elliott says, this community garden sets the table and feeds the spirit of 60 member families. In the six years since this land was cultivated, the love affair with local food has made this plot nearly priceless. 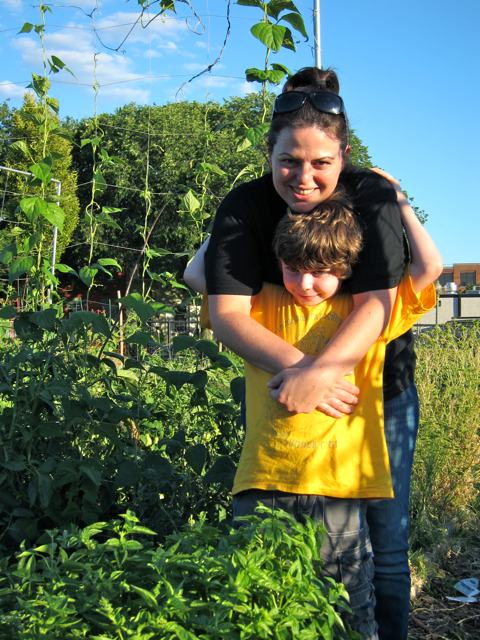 Some community gardens in Capitol Hill, Elliott says, have wait lists as long as seven years. So the gardeners are determined to preserve this refuge from the Marines. When the gardeners created a “Save Virginia Avenue Park” Facebook page, it quickly garnered more than 400 fans. Within the first few days of their grassroots campaign, filmmakers from Roadside Organics produced a four-minute movie about their efforts. Late last week, the gardeners got their first district council member on board. 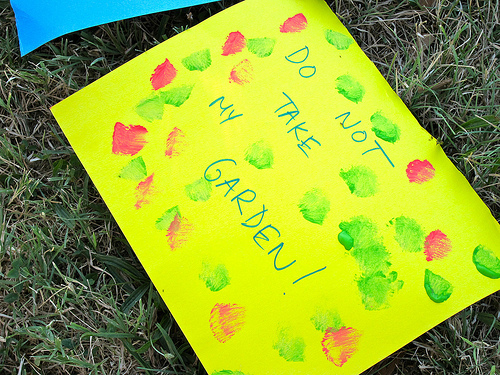 On Thursday, Council member Tommy Wells signed on to Save Virginia Avenue Park. So far, the online petition has nearly 200 signatures. Thank you Carolyn for visiting the garden and writing such a lovely piece. We really appreciate all the support!